BERLIN -- A lawyer for Heinz-Jakob Neusser, one of the Volkswagen executives charged last week by U.S. prosecutors over the company's diesel emissions cheating scandal, said the way they handled the legal process would have been unconstitutional under German law. 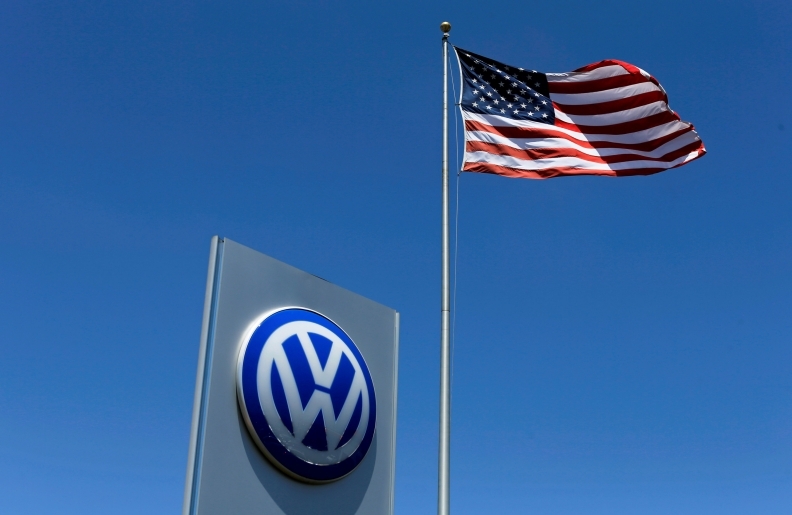 "We learned of the indictment from a live press conference," Hamburg-based lawyer Annette Voges said on Monday, adding that the Department of Justice (DOJ) had neither contacted the former VW brand development chief before charging him, nor granted her access to the files. "This conduct contradicts [German] constitutional principles," added Voges, who is representing Neusser, the highest ranking of the six people charged. Neusser remains in Germany, where prosecutors have to grant a defendant a chance to give their side of the story before an indictment, unlike in the U.S.
Voges would not comment on the charges against Neusser, but said the case relies on evidence given by witnesses who gave information to U.S. authorities in return for legal immunity. She said she has advised her client not to leave Germany because of the risk of him being detained. Last week the automaker took a major step toward ending its biggest-ever corporate crisis when it agreed to plead guilty in a $4.3 billion deal with the DOJ over cheating on diesel emissions tests. At the news conference announcing the settlement, the DOJ also said it was indicting six current and former senior VW managers, including Oliver Schmidt, who was arrested in Florida last week. He is being held without bail pending trial and faces a total of up to 169 years in prison. U.S. Attorney Barbara McQuade said on Friday the U.S. government had not contacted any of the six beforehand. "We don't typically inform people," she told a news conference. "From time to time we will talk to someone if we think that there's interest in a pre-indictment plea and cooperations ... but in this instance we did not do that." Volkswagen declined to comment on whether it had prior knowledge of the indictments announced by the DOJ. Berlin-based lawyer Werner Franke, representing former VW head of engine development Richard Dorenkamp, who is among the indicted, declined comment, while the lawyer for Jens Hadler, another former head of engine development, did not return calls. U.S. Attorney General Loretta Lynch has said the U.S. will pursue those responsible for the emissions cheating scheme and VW managers have been warned not to travel to the U.S., sources told Reuters last week. Separately, two legal sources said they expect former Volkswagen CEO Martin Winterkorn to give a prepared statement to lawmakers when he appears before a German parliamentary committee on Thursday. But Winterkorn, who was not available for comment, will then invoke his right to silence as he is subject of an ongoing probe over suspected market manipulation.